GF Sprague provides full home improvement, roofing, gutter, chimney, and replacement window services for anyone who owns a home in Massachusetts. We’re experienced and skilled in guiding a homeowner through options to meet their needs, or to the professional buyers who knows exactly what they want. G.F. Sprague & Co. Inc. is fully licensed, insured and certified. We work with individual homeowners, condo associations, and a wide range of institutions including houses of worship, private schools, colleges, public properties, and commercial owners/property managers. Your roof is a critical component system for protecting your home, your family and your possessions from wind, water and weather. For that reason you want to be absolutely certain that your roof is up to the task, with the right materials that are properly installed and maintained. 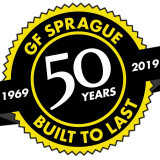 At GF Sprague we don’t employ unskilled workers who are “jacks of all trades.” Instead, we provide properly trained craftsman to work specifically on your roof, whether it is slate, copper, shingle, wood or rubber. Why TRUEHOME? Professional, honest and affordable home improvements… it’s what we do! 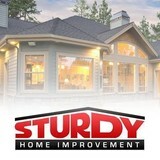 Your home improvement project is important to you. The fact that you’re on this website probably means that you already have a vision and a budget in mind. We get that and strive to help you fulfill that vision within your budget. We bring more than 30 years of experience in the home improvement industry, use only the best products and professional installation. We have a simple approach to your project. We meet when it’s convenient for you and by using the latest technology; we can usually give you an estimate at our first meeting for most projects. We offer good, better, best packages for all products to ensure that you get the style and performance you desire within the budget you have in mind. We don’t use high pressure sales tactics, other gimmicks or commissioned sales people. 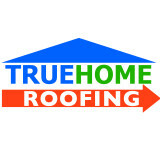 For honest, professional, experienced and affordable home improvements: Call TRUEHOME Roofing, Siding, Windows today! 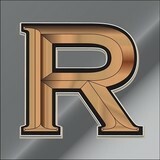 Riverside Sheet Metal & Contracting Inc.
Riverside Sheet Metal & Contracting Inc. specializes fabrication and installation of custom architectural metal products. Everything we fabricate is custom made to order. Capital Construction Contracting INC is a local award winning contractor specializing in roofing & siding in Boston and its surrounding areas. Capital Construction's certified contractors handle all types of roofing including shingle, slate, rubber roofs, roofing repairs and custom copper work. Based in South Boston, the services of Capital Construction are available to all of the general public as well as commercial businesses. We are willing to travel distances from our base; we can cover work throughout the whole Greater Boston area and beyond, including Newton, Brookline, Wellesley, Cambridge and Waltham, MA. We are Boston's residential roofing & siding experts, Certified GAF shingle installers & Preferred James Hardie remodeling install contractor. Call us today for your free estimate and a worry-free experience! We look forward to adding you to our long-established list of satisfied customers. If you are looking for standing seam metal roofing or metal shingle roofing in MA, CT, NH, or RI, you are on the right page. Our family-owned company is the culmination of three generations of building experience. We are part of a national dealer network that will provide you with a factory warrantied metal roof. Our commitment is to provide you with “the best roof under the sun.” There are many types of metal roofing. What is the right choice? Steel metal roofing, aluminum metal roofing, galvalume metal roofing, stainless steel metal roofing, or maybe copper or zinc metal roofing. Should you go with a metal roofing shingle or a standing seam metal roof? What is the difference between a architectural, commercial or an agricultural metal roof? It is a minefield of information and misinformation out there. Our line of energy efficient, environmentally friendly, aluminum metal roofing has been in the marketplace for over 50 years. The state of the art coating, Kynar, with zero roof material failures, and the lifetime warranty that comes with every one of our roofing systems makes your choice for “The best roof under the sun” simple. Our roofing systems do not support moss or fungus growth and they are hurricane rated so they will not blow off in high wind areas. Add to that the benefit of eliminating leaks due to ice dams as a thing of the past, because the snow slides right off the roof before ice dams get a chance to build up. If having experienced metal roofing installation crew is your concern, look no further. With hundreds of metal roof installations here in New England every one of our metal roofs, whether it be an Oxford “Slate” or Rustic “Shake” metal shingle roof, or a standing seam metal roof, is installed by only the best – our very own award winning, factory-certified, professional metal roofing crew. Use the metal roofing contractor that General Building Contractors use for putting metal roofs on their custom homes. When it comes to new construction, nobody does it better. Classic Metal Roofs, LLC is at the ready for your project. We can meet your time schedules and install the metal roof of your choice when it needs to be installed. Dollar for dollar, we offer the best metal roof value in New England. Len Gibely Contracting has been serving property owners since 1972. Concentrating on exterior improvements, LGC is recognized as one of the premiere contractors in our industry. Located in Peabody, Massachusetts we have long been serving customers on the North Shore and surrounding Boston communities. We have an unmatched commitment to quality and a consistent approach to providing our customers with only the best. From the tradesmen skillfully transforming your property to the materials they install, we take pride in our quality workmanship and only install products built to last. Competitive pricing and top notch talent allow us to produce a value unmatched in our industry. We will do everything possible to meet and exceed your highest expectations. Revered Metal Roofing is a full service, locally owned and operated business that provides friendly and reliable service with 100% customer satisfaction guaranteed. We offer a Lifetime Metal Roofing System, asphalt shingles and rubber roofing options at the best prices around. Our expert craftsmen and trained installation staff have the experience and knowledge to install the roofing system your property deserves. Our environmentally friendly building choices reduce energy consumption which saves you money. Revered Metal Roofing has built a solid client base on the South Shore of Massachusetts, offering concierge customer service with total satisfaction guaranteed. We aren't just building metal roofs — we're building relationships by installing a proven product. Contact us today for your FREE ESTIMATE! The Fiberglass Gutter Company manufactures and installs wood-replacement fiberglass gutters for use in new construction and historic renovations. We have reproduced the most commonly used and aesthetically pleasing gutter and molding styles in the traditional fine home building business, staying true to the classic wood gutter appearance while avoiding wood’s considerable disadvantages. We are a south shore based roofing and construction company offering all aspects from the roof down and foundation up. Give us a call! We install heavy duty long lasting gutter systems custom designed and built for each job. We pay attention to the smallest details and perform top quality work with incredible emphasis on customer experience. Our greatest honor is to have customers find it a pleasure to do business with Legacy Gutter Solutions Inc. When it comes to finding a good roofer, it's important to find one that will be there in the future in case something goes wrong. 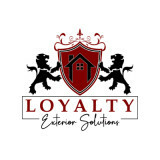 Roofer's Edge & Siding, Inc. will be here for many years to come, backing up our roof installations and repairs for our customers through our warranty program. We stand apart from other roofing companies due to our skilled workmanship, fair business practices, superior customer service & professional project management. With this dedication to quality, our satisfied customers often become our biggest source of referrals. We are a family owned business serving NH residents for all their roofing and Handyman needs. Whether it is laying a completely new roof, hanging doors, installing a deck, power washing, roof raking, or any other handyman service you can think of, we have you covered. Give us a call if you have any questions about what we can handle. We do free estimates! We work hard to exceed all of your expectations. Exceptional Gutter Systems in Massachusetts and Rhode Island GutterPro Enterprises is a family owned business that has been installing gutter systems in Massachusetts and Rhode Island for over 30 years. We take pride in our efforts to achieve 100% customer satisfaction. Job performance, high quality products, and good old fashion manners are the key ingredients to making you our next satisfied customer. Our expert estimators who arrive at your home have a background of being top notch gutter installers.They have worked on thousands of homes and have developed the hands-on knowledge necessary for finding a remedy that is right for your home and budget. The installation of your gutter system will also be done with the expertise of a thoroughly trained individual whose first priority is your satisfaction. This commitment has earned GutterPro the Englert Metals Golden Achievement Award for the last twelve years consecutively. GutterPro is an authorized dealer for the Englert LeafGuard maintenance-free gutter system. LeafGuard is the only one-piece covered gutter system on the market that is backed by a lifetime no-clog warranty. We are also the only Massachusetts and Rhode Islands area installer of the Truss Duratrac Snaplock seamless gutter mounting system. Our unique seamless aluminum gutters have no screw or nail penetrations through the back wall of the gutter to prolong the life of your gutters and trim boards. Gutter Pro is a authorized installer for Fibergutter brand fiberglass gutters in all of Massachusetts and Rhode Island. Whether you want wood gutters, copper gutters, half round gutters or fiberglass gutters, GutterPro has the high-quality products that will enhance your home's look and protect it from water damage. GutterPro is your number one choice for high-quality gutter installation and replacement services. We take pride in the gutter systems we provide for the Massachusetts and Rhode Island areas, and we are excited to make you our next satisfied customer. Roofs and gutters are two home elements that, when they do their job, go unnoticed. But when they malfunction, they make their presence known in a hurry — that’s where knowing a good Burlington roofer comes in handy. Hire the right roofing company in Burlington, MA to install, repair and maintain your roof and gutters, and you’ll ensure that these essentials perform at their peak. What do roofing companies in Burlington, MA do? Your Burlington, MA roofing contractor can install a new roof or repair an old one, as well as repair and replace gutters. Good roofers in Burlington, MA should be able to promptly inspect roofs and gutters to assess damage after a natural disaster or other event, and give you an estimate for the necessary roof repair immediately. Some Burlington roofing companies specialize in specific types of roofs, such as tile or metal, so make sure the one you are interested in works with the materials you have or desire. Find a Burlington roofer on Houzz. Narrow your search in the Professionals section of the website to roofing companies in Burlington, MA. If you’re planning a large-scale project, find other professionals on Houzz who can help get the job done. Here are some related professionals and vendors to complement the work of roofing & gutters: General Contractors, Specialty Contractors, Siding & Exteriors, Door Sales & Installation, Garage Door Sales & Installation.